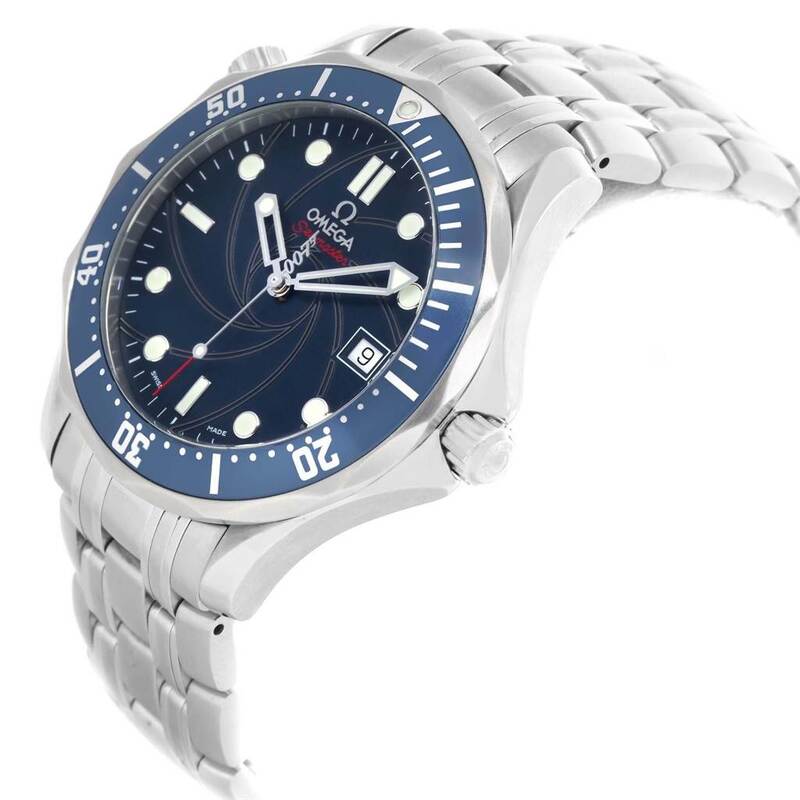 Blue gun barrel emblem dial with luminous skeleton hands and hour markers. 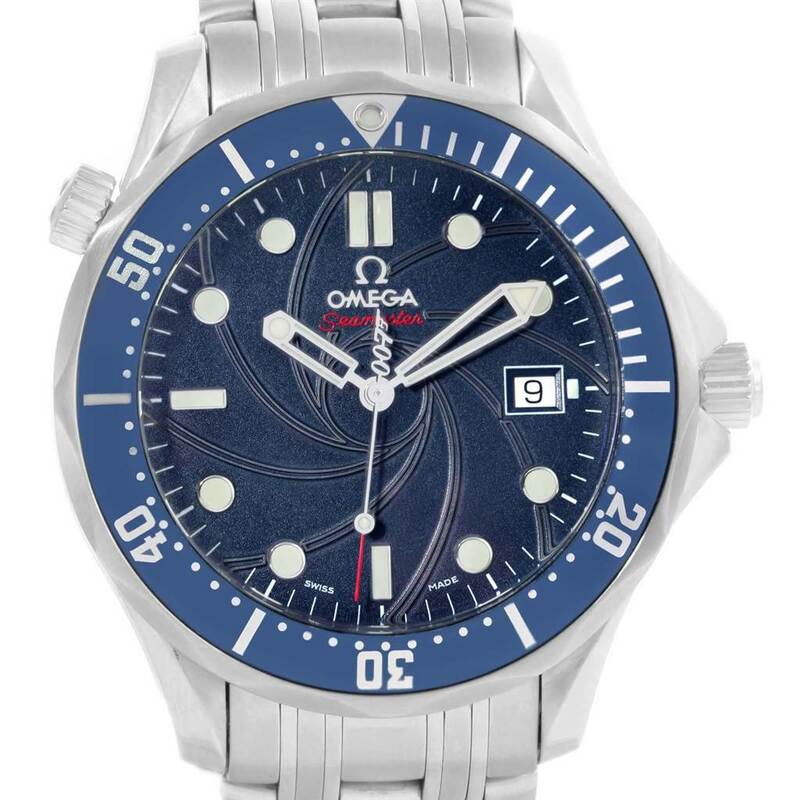 007 logo on the second hand. Date window at 3 o'clock aperture. 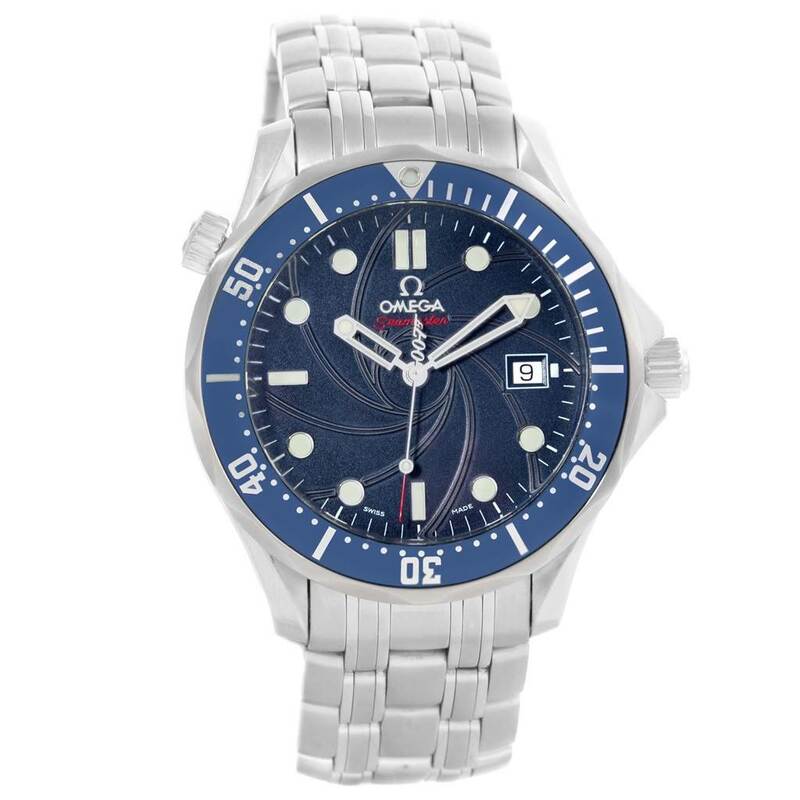 Omega Seamaster Bond 007 Limited Edition Steel Watch 2226.80.00. Automatic self-winding movement. 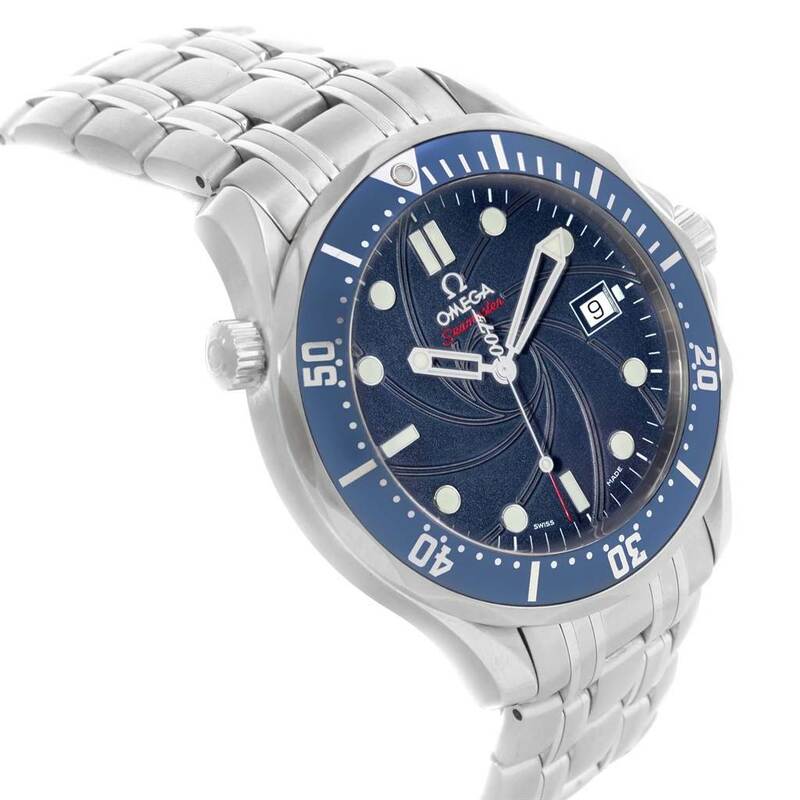 Stainless steel case 41.0 mm in diameter. 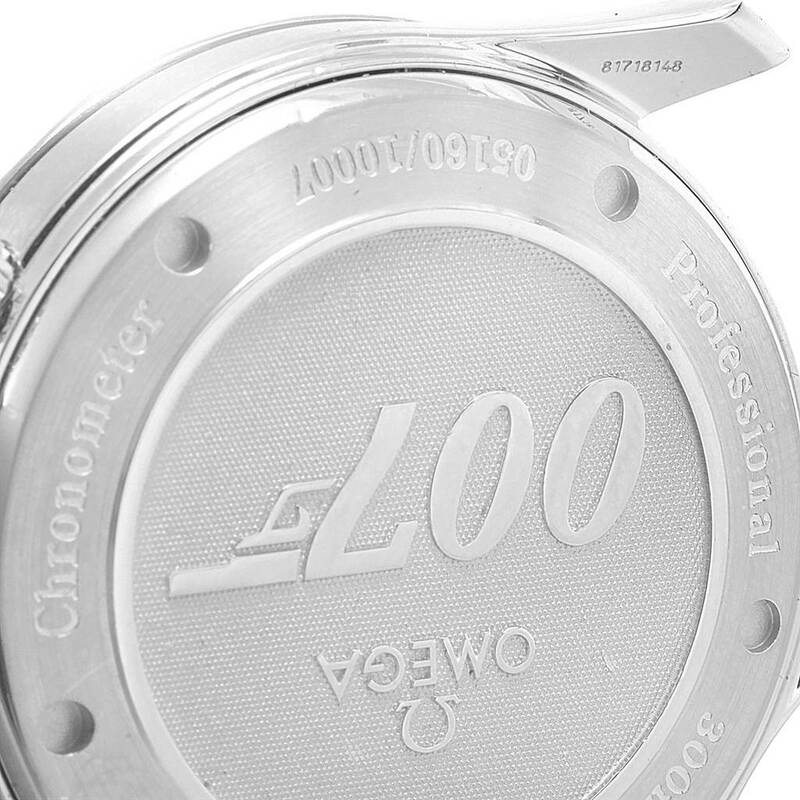 Omega logo on a crown. Unidirectional rotating bezel. Scratch resistant sapphire crystal. 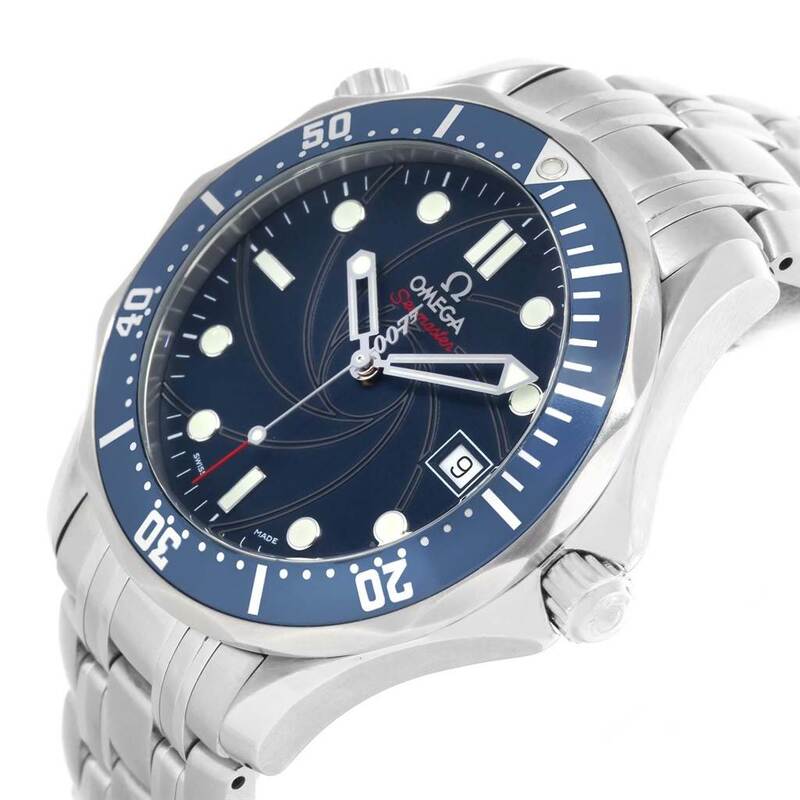 Blue gun barrel emblem dial with luminous skeleton hands and hour markers. 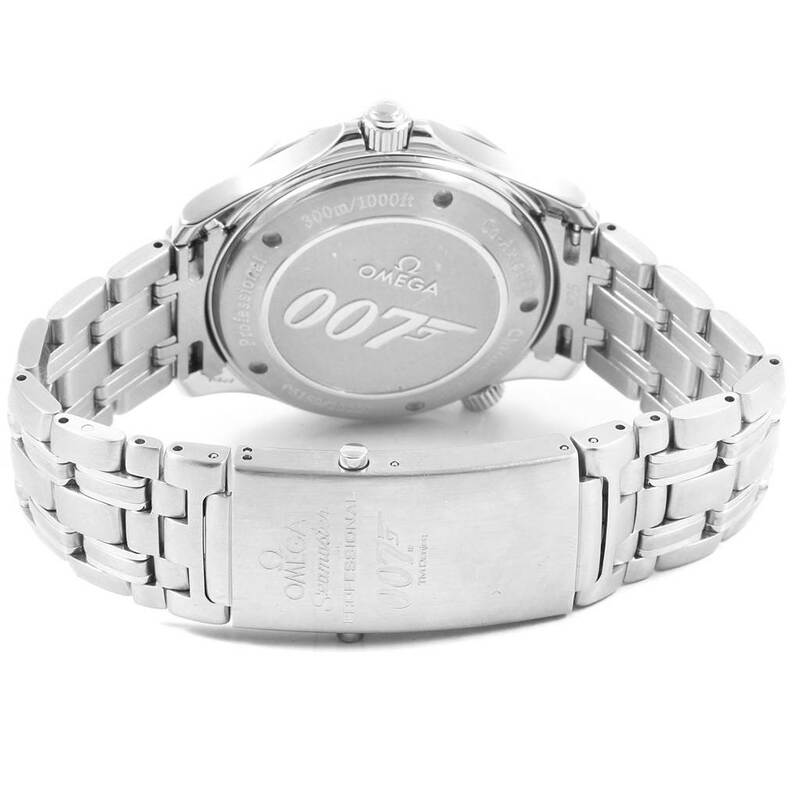 007 logo on the second hand. Date window at 3 o'clock aperture. 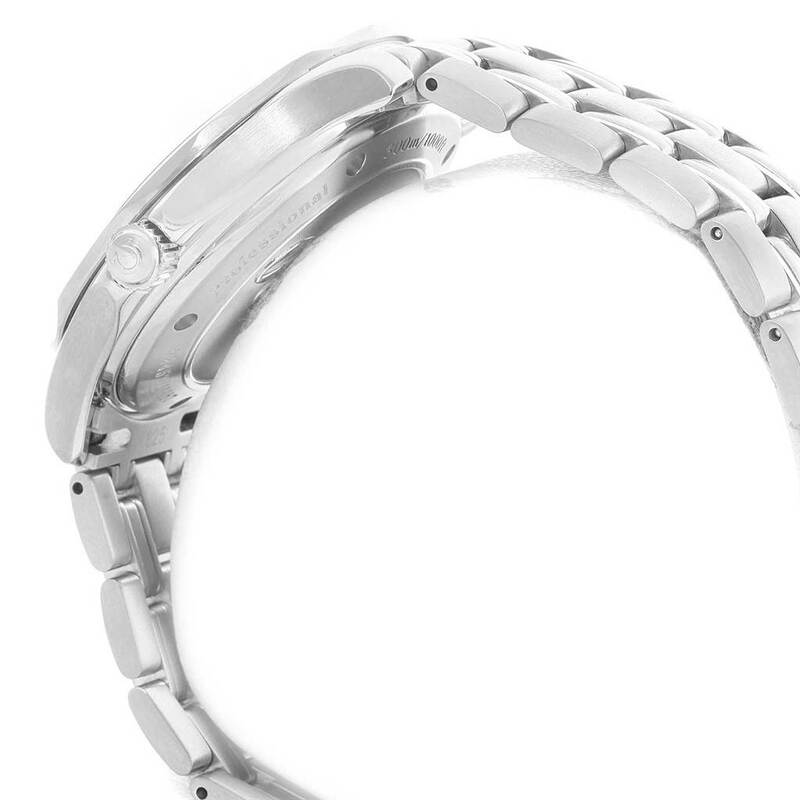 Stainless steel James Bond bracelet. Double folding clasp. 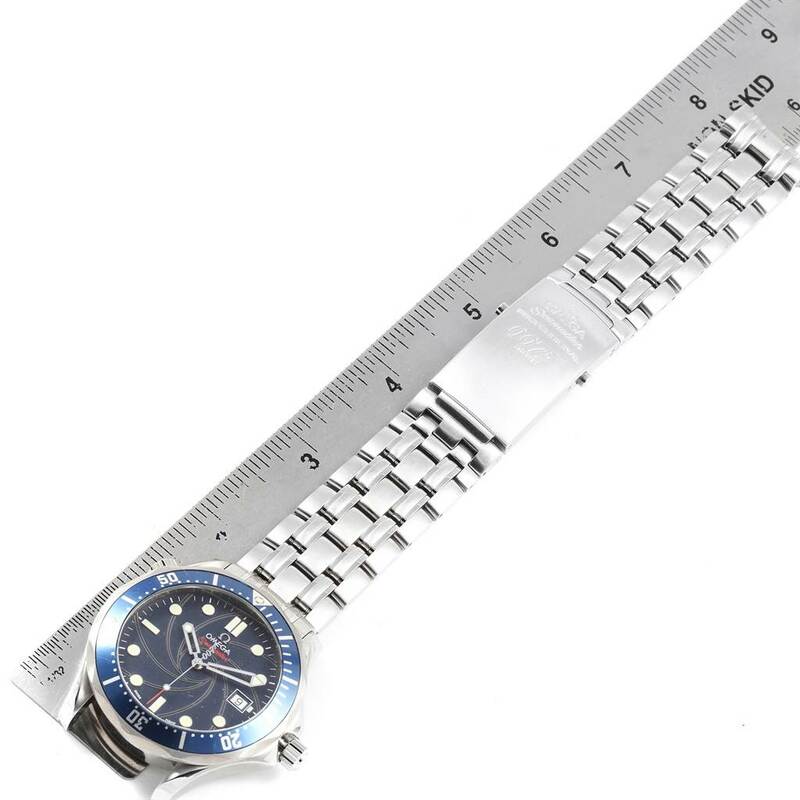 Will fit up to 8" wrist.